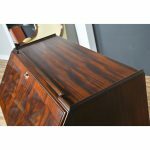 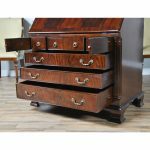 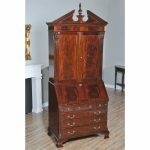 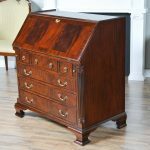 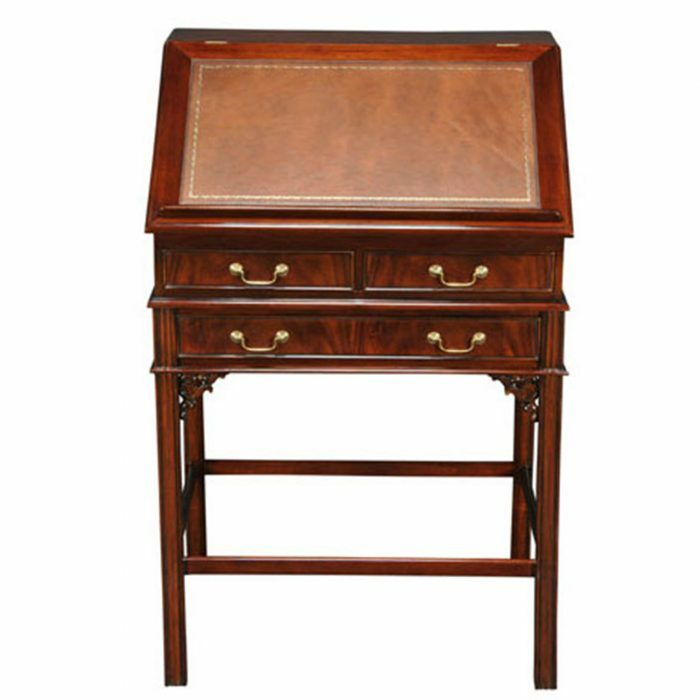 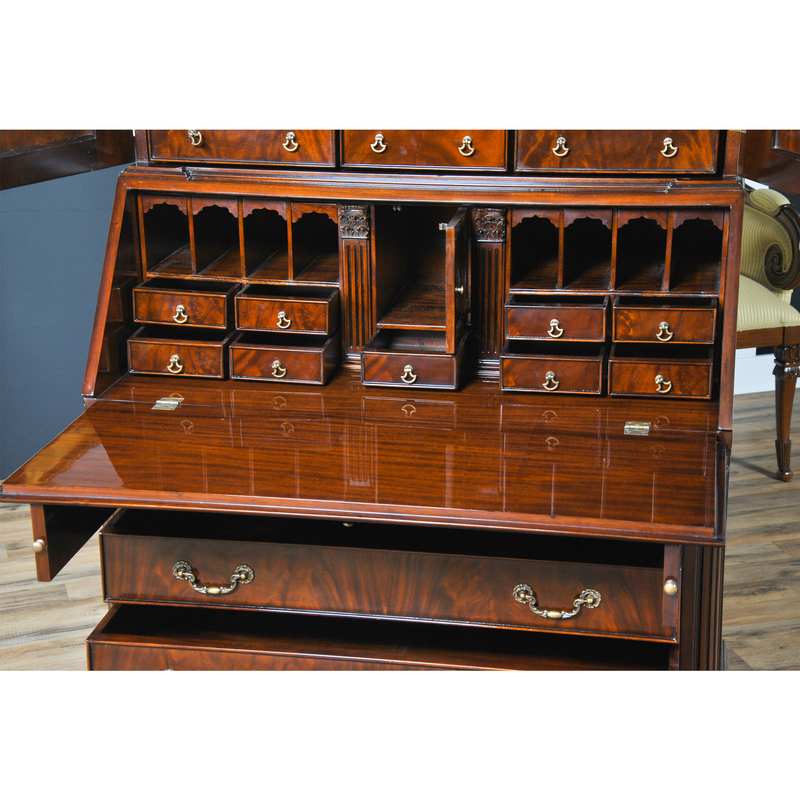 Inspired by an antique desk and bookcase this Large Mahogany Secretary Desk from Niagara Furniture is impressive in both it’s design and scale. 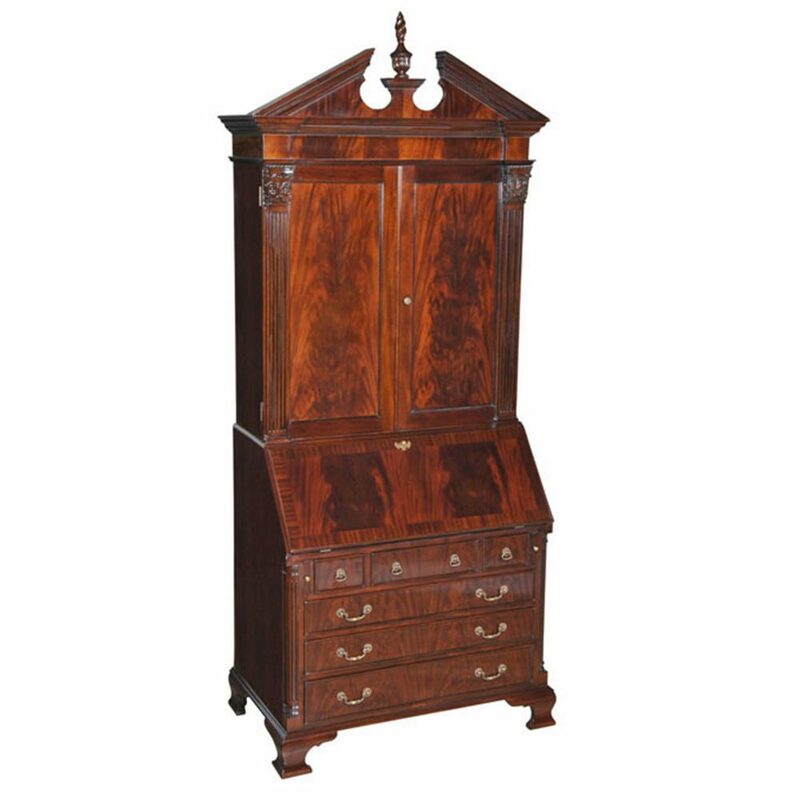 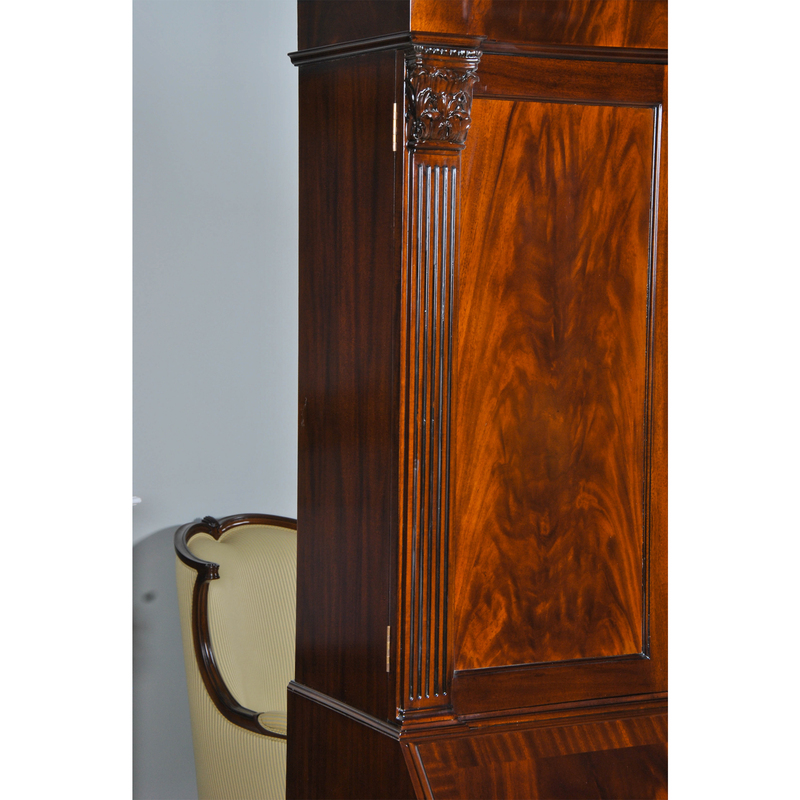 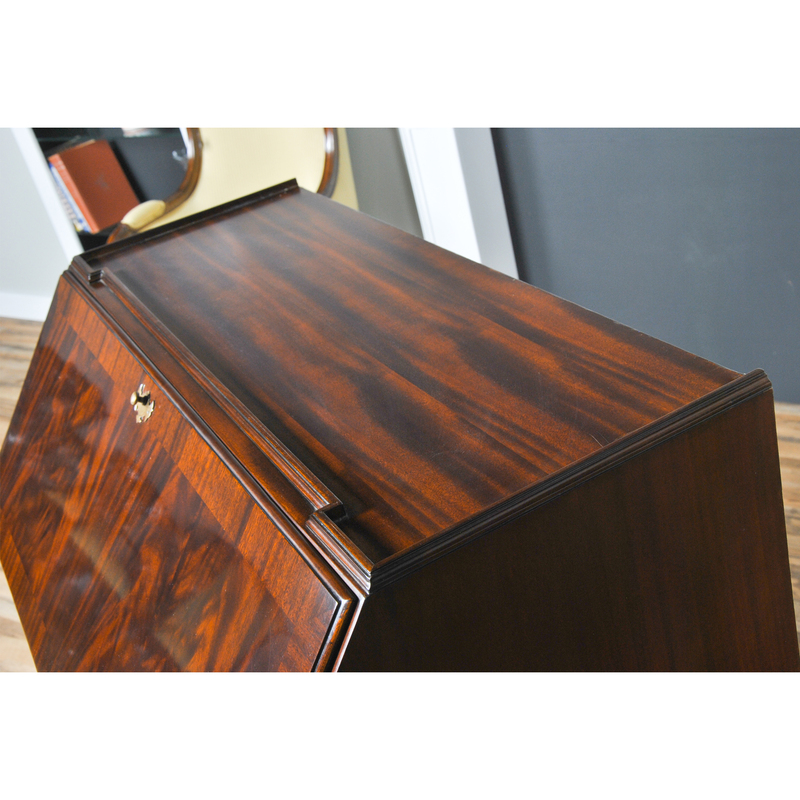 Made of beautifully grained mahogany, the bookcase features a removable pediment top section with removable finial. 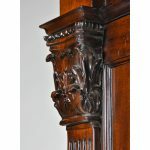 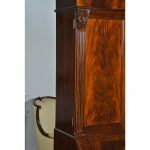 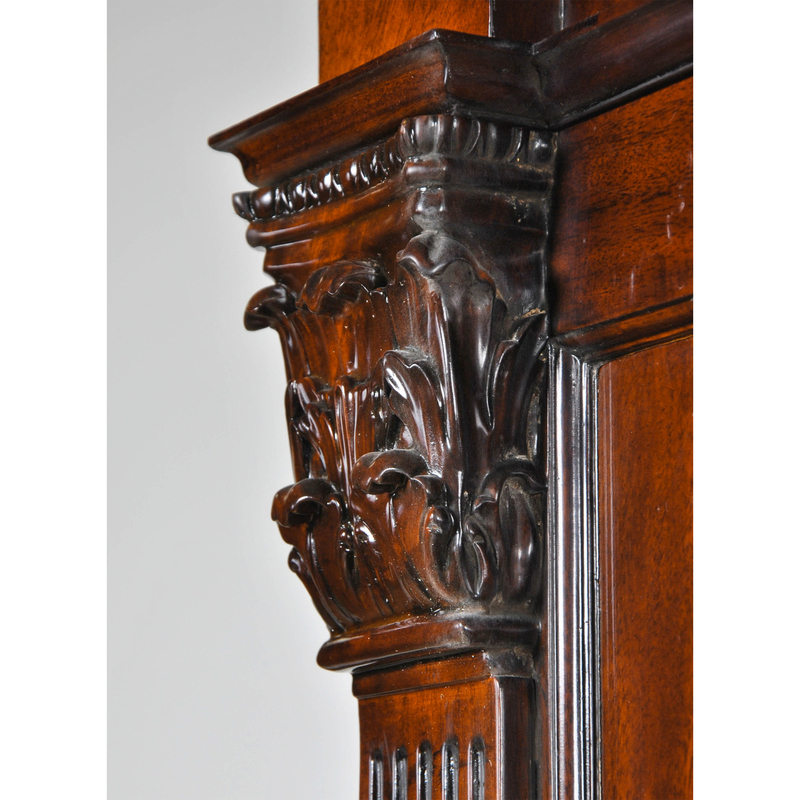 The top section consists of finely figured mahogany panels in the doors flanked on the outsides by reeded columns capped in acanthus carved tops. 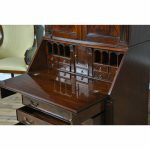 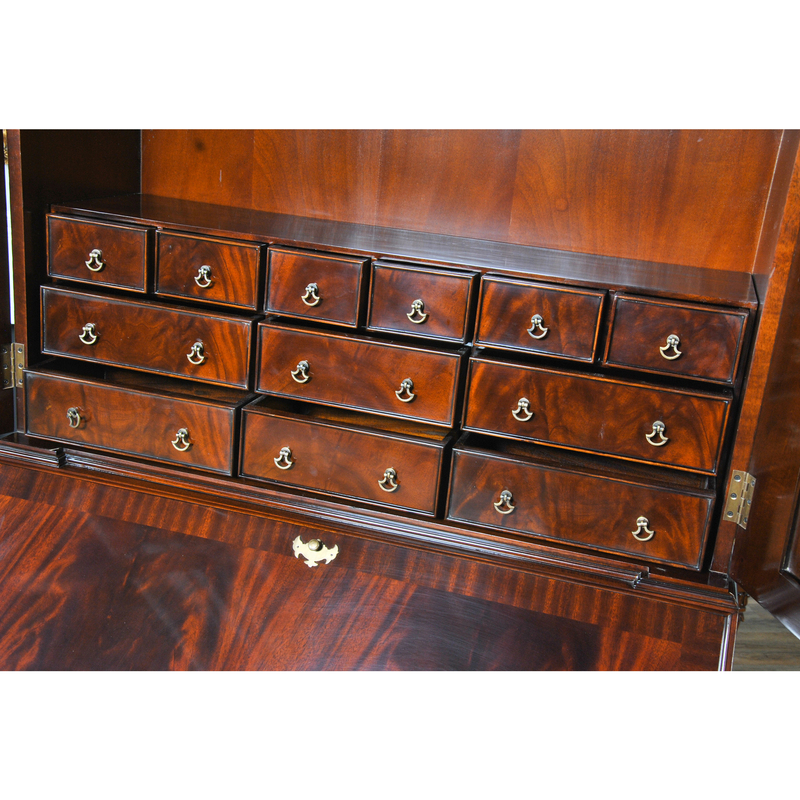 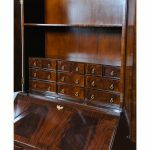 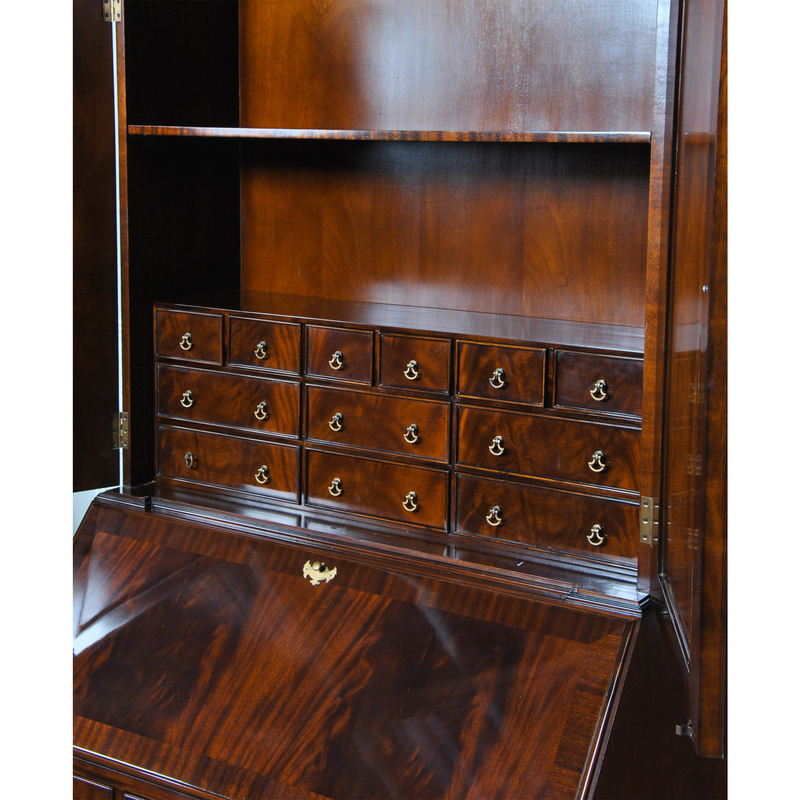 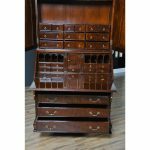 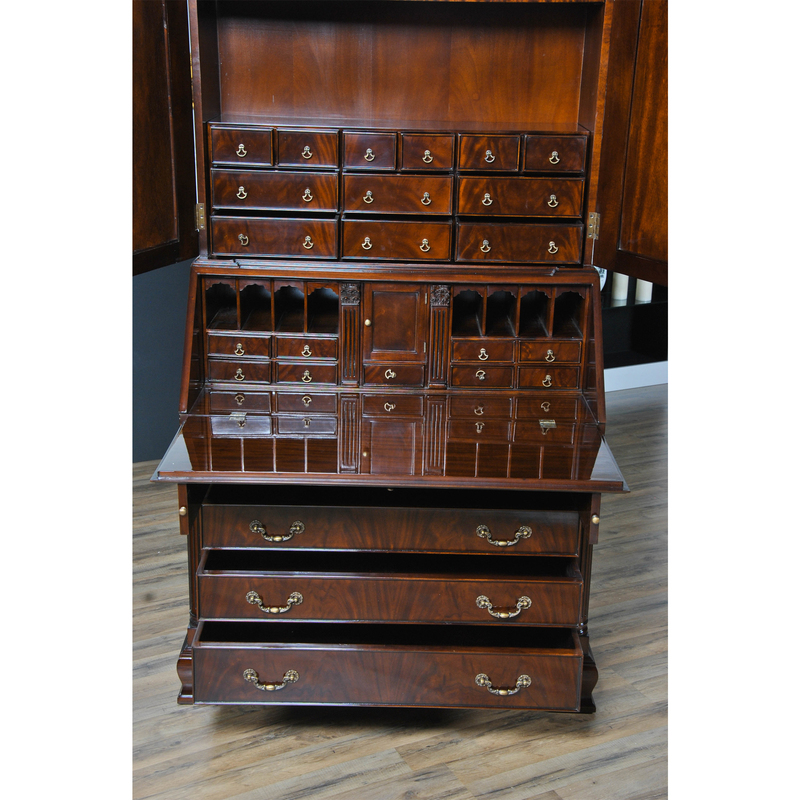 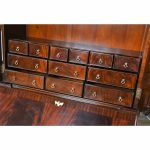 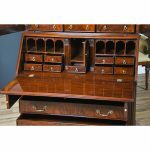 The interior of the Large Mahogany Secretary Desk has a shelf and more drawers and pigeonholes than one can count. 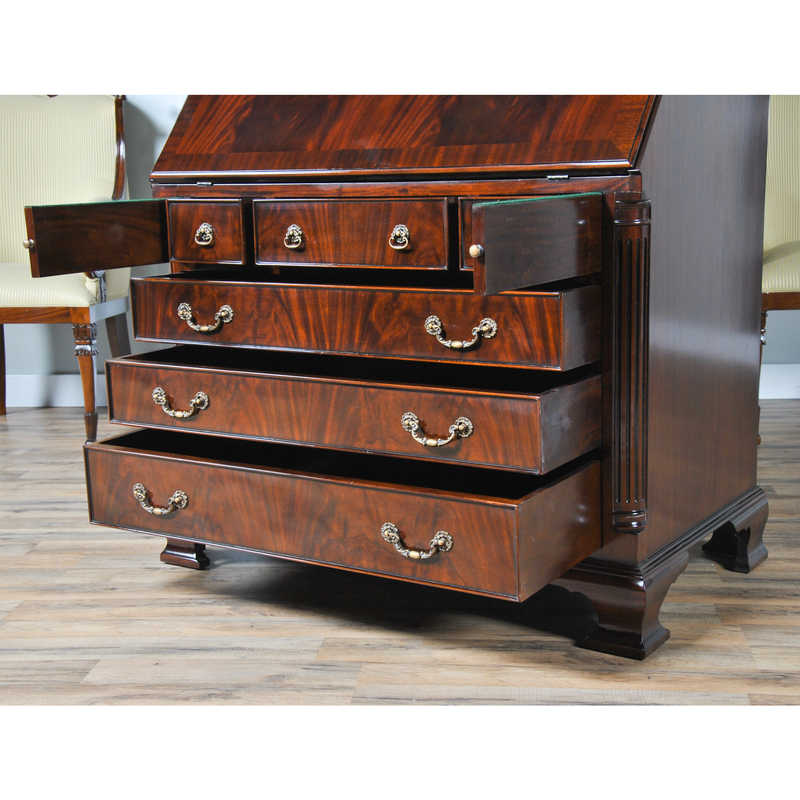 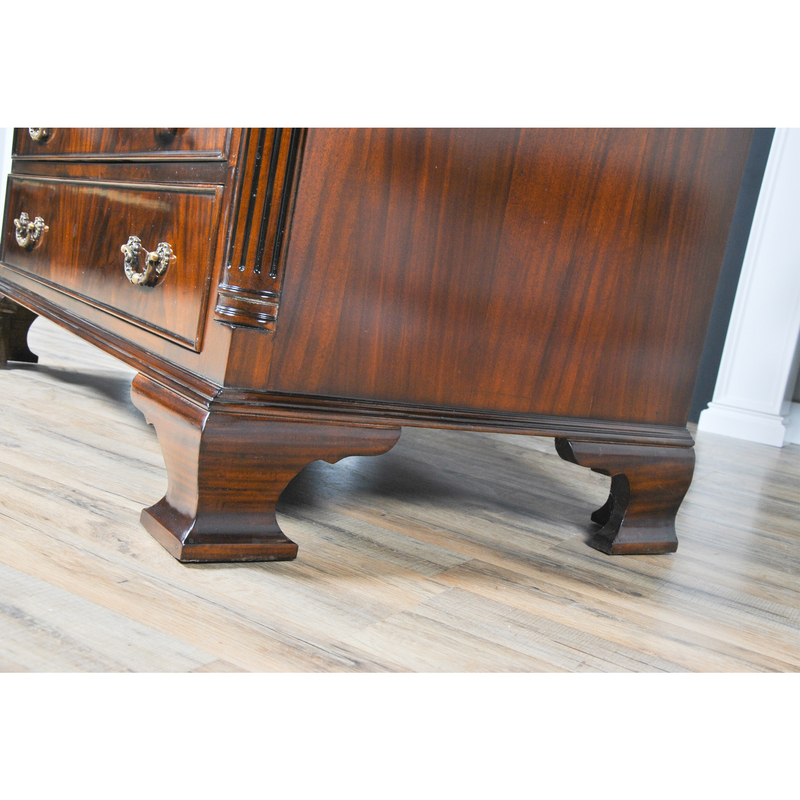 All of the drawers are dovetailed and feature the same high quality construction throughout. 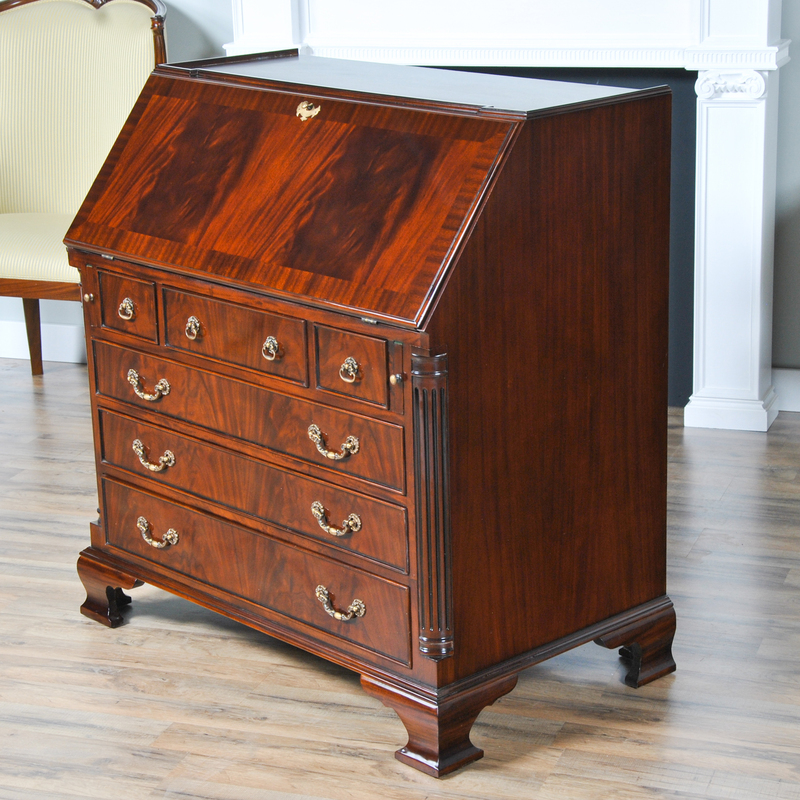 The slant top of the desk drops down to create a writing surface while the base of the desk has six drawers enhanced with wonderful solid brass pulls and the whole piece rests on solid mahogany shaped bracket feet.